Alesia Mainasara’s apartment, where she lived with her two children, was in a chronic state of disrepair. Her heater was broken all winter, and her air conditioner was broken all summer. Mold had been growing on her leaky walls, and the apartment was infested with insects and even geckos. Fed up with her landlord’s refusal to remedy the problems, Ms. Mainasara began withholding rent. Rather than simply fixing the problems in the unit, as required by law, her landlord sued to evict the family. Legal Aid referred the case to Stephen DeGenaro and Joe Cardosi of Jones Day, one of 14 law firms currently participating in the citywide Housing Right to Counsel Project. 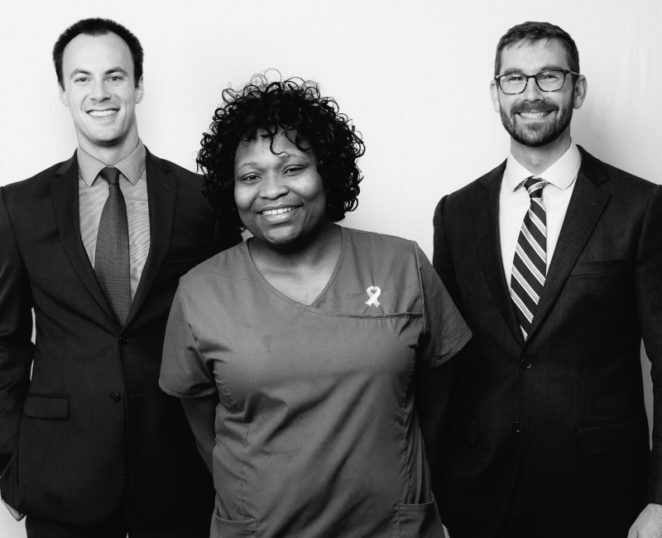 Stephen and Joe fought zealously for Ms. Mainasara, engaging opposing counsel on a weekly basis and thoroughly documenting both the substandard conditions of her home and the inadequacy of her landlord’s belated repair attempts. As a result, Ms. Mainasara was victorious on all fronts. She and her children kept their home and housing subsidy, and her landlord made the comprehensive repairs they needed. On top of that, the landlord waived more than $2,000 in alleged outstanding rent and late fees.